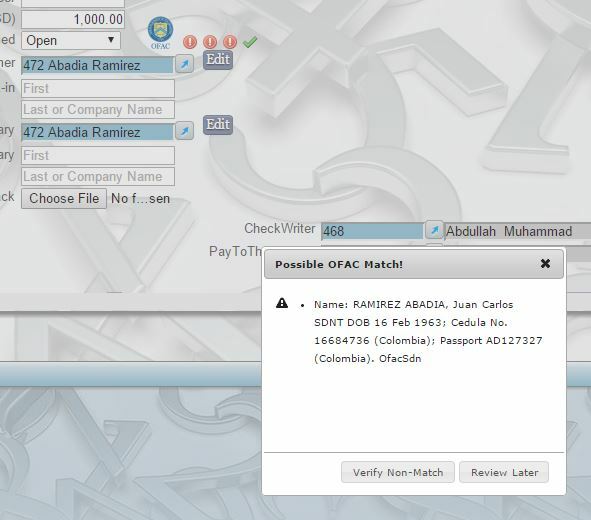 The mission: To create a search engine capable of detecting possible matches from our contact entry from with the OFAC Specially Designated Nationals List (SDN). The background: I was hired to develop a highly compliant software that tracks and facilitates the movement of funds between the U.S. and Israel. Recently, the U.S. government has taken a hard-line against corporations moving US dollars offshore on behalf of US citizens. Compliance demands that customers wishing to move funds must be checked against the OFAC SDN list, as well as the new consolidated non-SDN list which contains smaller lists such as the Palestinian Legislative Council (NS-PLC) list. OFAC does not provide an API for querying this list, but has launched a search page alongside their publication (and regular updates) of plain text files. The search page description provides adequate details regarding their matching algorithms and basic expectations, those being character and word matching, and phonetics. Phonetics allows for basic spelling mistakes or discrepancies, particularly when dealing with non-English names. Given our development phase and low starting volume, I developed the front-end and accessed a free API available online. Our testing, however, showed that the fuzzy logic implemented was not sufficient for our purposes (and perhaps other issues such as alias matching, list updates, closed source). A cup of coffee and some Google/Stackoverflow searches later, and I was sold on ElasticSearch. Getting started: I put my frugality aside and decided to test development on a new AWS instance. I was happy to find that Bitnami had just the machine image I needed to get up and running in a snap. 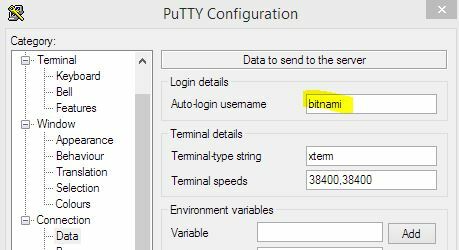 For some reason, Pageant wasn’t working for me, so I loaded my private key directly into PuTTY and was able to log in with the “bitnami” user. echo "Done fetching OFAC files"
We are downloading the files right into the ES scripts folder, and renaming some so we get a consistent “list_type.ext” file name. The first step was installing the plugins I needed. Namely, the CSV-river plugin and the phonetic plugin. The first will allow us to run our download script and index our CSV files, and repeat as often as we need. 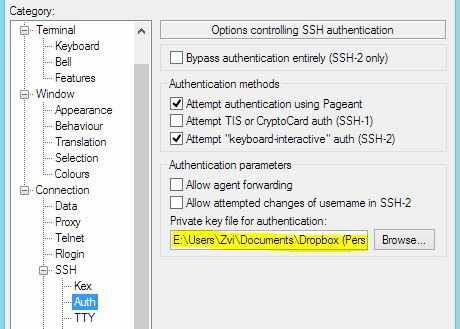 The latter lets us to conduct searches using our choice of the most popular “sounds-like” algorithms, not just Soundex as used by the OFAC search tool. which is probably the same as this YAML, but I wasn’t sure if the YAML was getting picked up, and figured I’d best stick to the conventions in the file. Since the SDN and non-SDN lists have the same format and do not repeat unique IDs, I was able to load each list into the same type. The prim.SDN_Name field will have a sub-field called “raw” that has the non-tokenized non-analyzed name data. We will use this for our Aggregation grouping later. I then set up my CSV-Rivers to download and grab the files. Since the River renames the files after it indexes them, further downloads will not cause collisions. For better or worse, I think the before_script_all is asynchronous, which is a strange choice for a “before” hook, which means the downloads usually complete after the data is already indexed. But if my data is actually updated every 6 or 12 hours doesn’t make a big difference to our needs. The filter will dynamically remove either individual (“must”) or non-individual (“must_not”) results, depending on our needs. Then we run our tokenized, phonetics matching against the names and aliases. Finally, we also return a top-hit aggregate of at most 10 matching alias records per name match. We set up our client, pass in the query, run through the aliases creating an easy local lookup, and return the same response structure as the Free API. And my front-end was never the wiser.